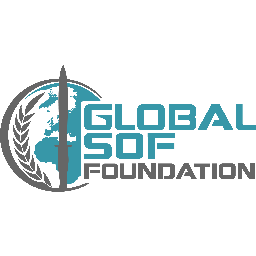 Join U.S. and international SOF leaders February 21-23, 2017 for an innovative event to discuss the importance of SOF enablers as well as critical ways for global SOF to interoperate, from tactics to policy. Bio: Ms. Alisa Stack assumed the duties of the Principal Director for Detainee Policy in January 2015, and the duties of the Principal Director for Special Operations and Irregular Warfare in August 2016. She is responsible for all aspects of policy on both detention and the resourcing of special operations capabilities. Previously, she was Director of the Personnel Accounting Consolidation Task Force, charged with transforming Department of Defense investigations and recovery of missing personnel from past conflicts. She has been a member of the Senior Executive Service since 2008. Since joining the Office of the Secretary of Defense (OSD) in 1997, Ms. Stack has held positions across the Department covering aspects of national security, including intelligence policy, combating terrorism, strategy and force development, and joint operations. From 2009 to 2011, Ms. Stack was the Deputy Chief of Staff for Stability Operations at the International Security Assistance Force Joint Command in Kabul, Afghanistan. In this position, she established the stability operations office and led collaboration between Coalition forces, the Afghan government, international organizations, and Afghan civil society groups that provided basic services to citizens during and after conflict. Building on her experience in Afghanistan, she redesigned strategy and processes for the Task Force on Business and Stability Operations, increasing collaboration within the Executive Branch and creating a transition plan for the Task Force. In addition to her business transformation expertise, Ms. Stack is a specialist in policy related to combating terrorism. She began her OSD career in the counterterrorism policy office where she oversaw sensitive activities and operations. From 2002 to 2004, she served as Deputy Director for Detainee Policy, working across the U.S. Government to develop processes for detainee reviews. As part of the U.S. Government effort to counter violent extremism, she established the Office of Support to Public Diplomacy in 2006 and served as Acting Director. Ms. Stack represented the Office of the Under Secretary of Defense for Policy on the faculty of the National War College from 2005 to 2006, where she conducted research on terrorist group employment of women. Her findings were published in Joint Force Quarterly, and Terrorism and Political Violence. Prior to joining OSD, Ms. Stack served as the Legislative Assistant to Senator Slade Gorton, covering defense, foreign affairs, veterans, and trade issues. She also has extensive experience in the non-profit, think-tank community, serving as Director for Access Asia at the National Bureau of Asian Research and working for the Soros Foundation in Albania. Ms. Stack holds a Master of Science from the National War College, a Master of International Affairs from Columbia University, and a Bachelor of Arts in International Relations from the University of Washington. 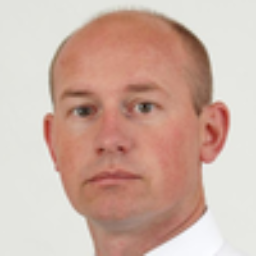 Vice President UAS Sales and Operations, FLIR Systems, Inc.
Bio: Arne Skjaerpe grew up in various parts of the country. After high school, he joined the Army for conscription service 1977. He then signed up for extended service which brought him to South Lebanon in 1979 as part of the UN forces before he joined the Norwegian Military Academy and was commissioned as first lieutenant in the artillery 1982. He then served in a number of army and joint positions before he was selected for general staff education in Germany in 1993. The following years Skjaerpe served at the Norwegian Staff Academy, he was artillery battalion commander and also served as Chief of Staff of NORDPOL BDE/1.US Armored Division in Bosnia before he was assigned Chief Operations (ACOS G3) with the 6. NOR Army Division in 1998. In 2000, colonel Skjaerpe started a three year tour as Norwegian Defense Attaché in Berlin, Germany. Upon returning to Norway he became Inspector of Artillery before he was promoted to Brigadier General in 2004 and became Chief of Army Staff at the NOR Defense Headquarters. In 2006 Skjaerpe served at the Ministry of Defense before he deployed to US CENTCOM in 2007 on a two year assignment. 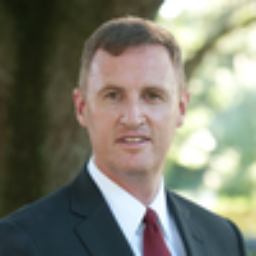 General Skjaerpe retired from active duty in 2009 and started in the private sector, initially with a US staffing company before he moved on to Cybrix Group, a defense contractor in Tampa, FL where he focused on business development. 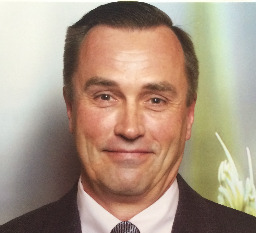 In 2011 Skjaerpe was offered a position by Yara North America, a subsidiary of Yara International ASA, a world leading fertilizer company, as market development manager for North America. He later was asked to be Yara’s first corporate security officer with global responsibility reporting to the Yara International ASA management in Norway. Skjaerpe assumed the function as regional Vice president and General Manager of Prox Dynamics USA in May 2014, the company being a subsidiary of Prox Dynamics ASA in Norway. Prox Dynamics a world leading company in developing and producing nano UAVs also known as Soldier Borne sensors (SBS). Skjaerpe is leading the company’s efforts to bring the PD 100 Black Hornet SBS to the company’s single most important market, to US customers, primarily the DOD and the DHS. When Prox Dynamics was acquired by the US Company FLIR Systems, Inc. in December 2016, General Skjaerpe assumed the function of Vice President UAS sales for the US market. In this position he is responsible for all FLIR UAS related business development and sales activities related to the US Government. Over the years General Skjaerpe has been given numerous Norwegian and allied awards including the US Legion of Merit and the US Army Commendation Medal. 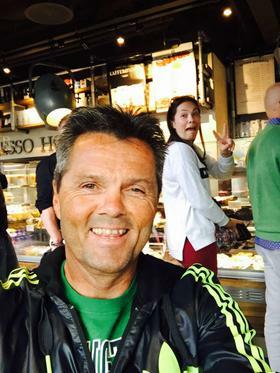 General Skjaerpe is happily married to the former Unni Grimsmo of Baerum, Norway and they have three children; Astrid Amalie, Rasmus and Oscar, all now attending colleges in the US. 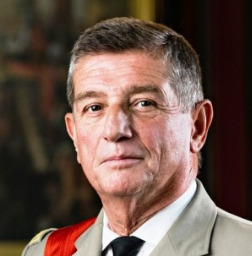 Bio: Army General Benoît Puga was born on January 30, 1953, in Saint-Mandé, Val-de-Marne, France. He entered the French military academy Ecole spéciale militaire de Saint-Cyr in September 1973 and upon graduation chose to serve in the infantry. He served for several years in the 2nd Parachute Regiment of the Foreign Legion (Régiment Etranger de Parachutistes) and became its commanding officer from 1996 to 1998. As a member in this regiment, he served in many locations, including Kolwezi (Zaire), Gabon, Beirut, Bangui (Central African Republic), Chad, Bosnia and Congo. After graduating from the Ecole de Guerre (War College), he commanded a class of officer cadets of the Ecole spéciale militaire de Saint-Cyr in Coëtquidan from 1989 to 1992, and served several times on the General Staff. He also served in former Yugoslavia for more than two years, in 1994-1996 and 1999. In 1999-2000, he attended the 52nd session of IHEDN (Institut des hautes études de défense nationale: Higher institute for national defense studies) and the 49th session of CHEM (Centre des hautes études militaires). 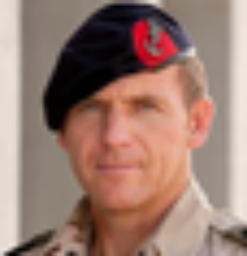 Appointed General Officer on September 1st, 2002, he was successively Chief of the CPCO (Centre de planification et de conduite des opérations, 2002-2004), Special Operations Commander (2004-2007), Deputy Chief of the General Staff for Operations (2007-2008), and Director of Military Intelligence (2008-2010). On March 5, 2010, he was appointed Chief of the Special Military Staff of the President of the French Republic (Chef de l’état-major particulier du président de la République) and promoted to the rank and title of Army General on March 10, 2010. On September 1st, 2016, Army General Benoît Puga assumed the positions of Grand Chancellor of the Legion of Honor and Chancellor of the National Order of Merit. He holds the Grand Cross of the Legion of Honor and the Grand Cross of the National Order of Merit. He has been awarded the Cross for Military Valor with eight mentions for bravery. He graduated with an engineering degree from the Ecole spéciale militaire de Saint-Cyr, and also holds a master of advanced studies in policy and international relations as well as a master’s degree in history. Bio: Ms. Caryn Hollis is the Deputy Assistant Secretary of Defense for Counternarcotics and Global Threats. Ms. Hollis leads the Department of Defense’s global counternarcotics and threat finance policies and operations, among other global issues, overseeing a budget of over $1 billion. She reports to the Assistant Secretary of Defense for Special Operations & Low Intensity Conflict in the Office of the Under Secretary of Defense for Policy. From October 2009 to July 2012, Ms. Hollis served as the Principal Director for the Deputy Assistant Secretary of Defense for Counternarcotics and Global Threats. From May to October 2009, Ms. Hollis served as the Chief of Staff for the Assistant Secretary of Defense for Special Operations & Low Intensity Conflict in the Office of the Under Secretary of Defense for Policy. From February 2007 to May 2009, Ms. Hollis served as the Director, Partnering at U.S. Southern Command and the Senior Defense Policy Advisor to the Combatant Commander. The Partnering Directorate was comprised of representatives from the interagency community and the armed services. Ms. Hollis was responsible for identifying interagency opportunities and aligning U.S. Southern Command efforts to expand collaboration and integration of interagency representation at U.S. Southern Command. From February 2005 to January 2007, Ms. Hollis served as the Acting Deputy Assistant Secretary for Western Hemisphere Affairs and the Principal Director for Western Hemisphere Affairs in the Office of the Under Secretary of Defense for Policy. 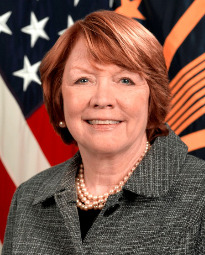 From December 2001 to January 2005, Ms. Hollis served as the Principal Director for Stability Operations in the Office of the Assistant Secretary of Defense for Special Operations/Low Intensity Conflict. She managed a civilian and military staff charged with providing policy guidance on peace operations, humanitarian and disaster relief, landmine policy, and post-conflict reconstruction. Ms. Hollis served as Director for Western Hemisphere Affairs at the National Security Council from December 1999 to September 2001. A recognized authority on Latin American affairs and defense policy issues, Ms. Hollis served as the Principal Director of Inter-American Region from May to December 1999, the Director for South America from April 1998 to April 1999 in the Office of the Undersecretary of Defense for Policy. From 1987 to 1998, Ms. Hollis worked in various offices focusing on Latin America and the Caribbean for the Defense Intelligence Agency and served as the Deputy Defense Intelligence Officer for Latin America. Ms. Hollis holds a Master of Arts from Georgetown University and a Bachelor of Arts from George Mason University. 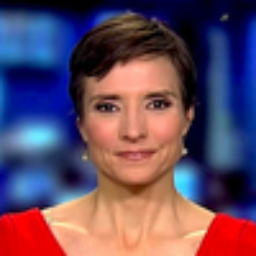 Bio: Catherine Herridge is an award-winning Chief Intelligence correspondent for FOX News Channel (FNC) based in Washington, D.C. She covers intelligence, the Justice Department and the Department of Homeland Security. Herridge joined FNC in 1996 as a London-based correspondent. A lead correspondent for the network’s coverage of the 9/11 Benghazi terrorist attack, she was first to report on September 12th, based on an interview with the chairman of House Intelligence Committee, Congressman Mike Rogers that “It was a coordinated, military-style, commando-type raid." On September 17th, one day after Ambassadors Rice’s controversial claims on the Sunday talk shows, Catherine was first to report there was no demonstration at the consulate when the attack unfolded. She has also reported from Afghanistan, Iraq, Qatar, Israel and Guantanamo Bay. She has covered stories including the ethnic conflicts in the former Yugoslavia, the Northern Ireland peace agreement, the investigation into Princess Diana’s death and 9/11 in New York City. She is one of the few reporters to sit in the same military courtroom as the self-described architect of the 9/11 attack, Khalid Sheikh Mohammed, and his four alleged co-conspirators. Herridge and the network’s team of investigative journalists traveled across the United States and to Yemen to complete an eighteen-month investigation into al-Awlaki, who was linked to three of the 9/11 hijackers, the Fort Hood attack, the attempted bombing on Christmas Day 2009, the failed attack on Times Square in May 2010, and the cargo printer bomb plot in October 2010. The Washington Post described the resulting documentary as “an explosive hour.” A graduate of Harvard College and the Columbia School of Journalism, Herridge began her career as a London-based correspondent for ABC News. 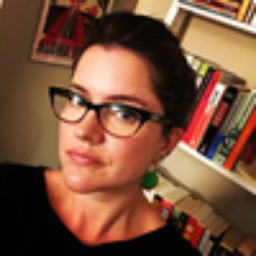 Her recent book published by Crown, The Next Wave: On the Hunt for al Qaeda’s American Recruits exposes the new face of terrorism and predicts the source of future threats in the Middle East and North Africa. Bio: Christopher Mellon drafted the legislation establishing the US Special Operations Command in 1986 while working as an aide for US Senator William S. Cohen (R-ME). He subsequently spent nearly 20 years in the U.S. Intelligence Community, to include serving as the Minority Staff Director of the Senate Intelligence Committee and the Deputy Assistant Secretary of Defense for Intelligence. He has taught at Georgetown University; authored a number of articles on public policy issues; and received numerous awards including the National Reconnaissance Office Gold Medal; the DIA Director’s Medal, and the Secretary of Defense Public Service Award. Mr. Mellon is also the Chair of the Science Committee at the Carnegie Museum of Natural History. He earned his B.A. from Colby College and his M.A. from Yale University. Since retiring from federal service Mr. Mellon has been working as a private equity investor engaged in biotech and information technology start-ups. Bio: Major General Clayton Hutmacher is the Deputy Commanding General of U.S. Army Special Operations Command, and has served over 39 years in uniform as an enlisted Marine, Army warrant officer, and commissioned Army officer. MG Hutmacher’s first commissioned assignment was with the 160th Special Operations Aviation Group as the HSC Executive Officer, and later as the MH-60 Direct Action Penetrator Platoon Leader. He has since served three tours with the 160th Special Operations Aviation Regiment to include XO of 1st Battalion, Commander of 1st Battalion, Regiment Commander and the Commanding General of the U.S. Army Special Operations Aviation Command. Bio: Brigadier General Danny Grammatico (FRA) Brigadier General Daniel Grammatico was admitted to the military academy of Saint Cyr in 1982 and choose 3 years later to serve in the Army Aviation. Appointed at the 3rd combat helicopter Regiment east of France in 1988, he was successively patrol commander and squadron leader and took part in the first Gulf war and then other operations including Djibouti and Somalia. After 5 years spent in HQs and also in War College in Paris, he was appointed to the 3rd Combat Helicopter Regiment as Ops director for two years period of time during which, he was deployed in Kosovo as battalion commander. In 2001 he was posted in the French Joint Operations Center - Paris as deputy commander of the Afghan crisis cell. Two years later he was promoted to Colonel, in 2003 he is back again in the Army Aviation to take the command of the 3rd combat helicopters regiment. Deployed in operations two times during this command, he was firstly commanding officer of the Army Aviation battalion in Ivory Coast and commanding officer of the French Army detachment deployed in Indonesia in support of the Tsunami disaster relief ops. 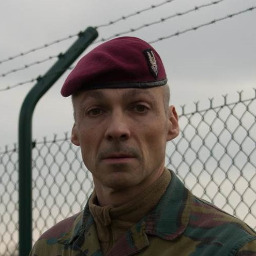 In September 2005 he is assigned to the French Special Operations Command (SOCOM) as D.COS support training/readiness and also in charge of advance studies in the framework of doctrine and equipment. Deployed several times in the framework of Special Operations, he was in particular involved in SOF missions aiming to prepare the EUFOR Chad deployment. From 2009 to 2012 assigned to the Nato Special Ops Headquarters (NSHQ) as D.COS OPS, he was in charge of the monitoring at strategic level of the SOF NATO-led operations (ISAF, Ocean Shield counter piracy, Unified protector Libya. 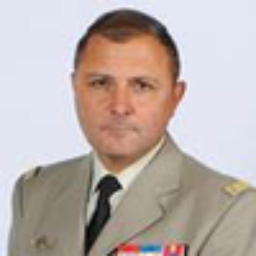 Promoted Brigadier General in 2013, and after two years as deputy commander of the French Joint Force headquarters, he is appointed 1st January 2015 as Director Operations of the EU Military Staff in Bruxelles. Bio: Dr. Erin Simpson works at the intersection of data science, intelligence, and national security. She is founder and CEO of Archer Avenue Consulting, supporting companies to devise new data strategies and better data products. In 5+ years at Caerus Associates, Erin helped to build an experimental start-up into a cutting edge DC consulting firm. She led the development of the data science and software teams while engaging senior leaders across the defense and foreign policy communities. Her term as CEO culminated in the successful sale of the company in 2016. 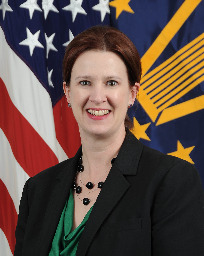 Prior to joining Caerus, Erin served as the Strategic Advisor to ISAF’s Counterinsurgency Advisory and Assistance Team, where she regularly advised senior military commanders throughout Afghanistan on issues related to campaign metrics, strategic assessments, local-defense forces, and illicit networks. Before deploying to Afghanistan she served as an Assistant Professor of National Security Affairs at the US Marine Command and Staff College in Quantico, VA. Erin holds a PhD in Political Science from Harvard University and a BA in Political Science and International Studies from the University of Kansas. Bio: Eric Spero is a Team Lead in the Vehicle Applied Research Division of the Army Research Laboratory Vehicle Technology Directorate. 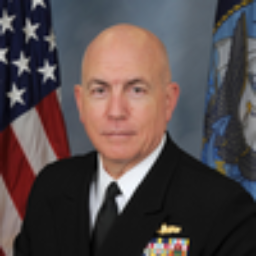 He plans, leads, and executes research in technology insertion analysis, tradespace exploration, and strategies for reducing operation and sustainment costs. His Team's mission is to advance and apply operations research, data visualization, and decision science techniques to explore intra- and inter-relationships of complex products and systems. Mr. Spero has nearly 20 years of government and industry experience across research, development, test, evaluation, analysis, engineering, and project management of complex mechanical systems. He has co-authored multiple publications in systems engineering research. Bio: Dr. Erik Won is the President and CEO of Newport Brain Research Laboratories (NBRL). He began his medical career as a US Navy Flight Surgeon and performed a tour forward deployed with the 11th Marine Expeditionary Unit (Special Operations Capable). He then completed his medical training at the Harvard Occupational and Environmental Medicine program, obtained a Master of Public Health at the Harvard School of Public Health, and also served as Chief Resident. He previously held the position of Chief Physician, Southern California for the Boeing Company, and was sponsored to obtain an Executive MBA from the USC Marshall School of Business. He was subsequently promoted to Chief Technology Officer (Health Services) and successfully implemented several new initiatives including integrated digital radiography, telemedicine, and enterprise standardization of electronic health records. Bio: Lieutenant-Colonel SCHMITZ, born in 1969 started his military career in 1987 at the Royal Military Academy, after graduating he served in Germany. In 1998 he successfully followed the Commando and Para instruction and fulfilled several commands as platoon and company commander. After being Operations Officer of a reconnaissance Unit, he became the deputy of the Special Forces Group. In 2009, he joined the NATO Special Operations Headquarters in SHAPE, working for Assessment Branch; he also took part in the Technical Exploitation Operations program. In 2013 he joined the Intelligence Services to work on Plan & Policy. Lt Col SCHMITZ completed several operational tours to Democratic Republic of the Congo, Republic of Chad, Kosovo, Afghanistan and Middle East. Currently he’s the Commander of the Belgium Special Forces Group. Lt Col SCHMITZ is married and has three children. 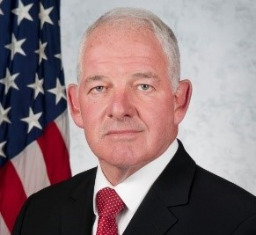 Bio: Garry Reid is currently serving as the Director for Defense Intelligence (Intelligence and Security) (DDI (I&S)), reporting directly to the Under Secretary of Defense for Intelligence (USD(I)). In this capacity he is responsible for the formulation and implementation of policy and resources to conduct HUMINT, counterintelligence, security, sensitive activities, intelligence analysis, intelligence sharing, and partner engagement programs. On behalf of the USD(I), Mr. Reid oversees the activities of DoD intelligence and related elements, coordinates these activities within the U.S. Intelligence community and U.S. interagency, and provides regular reporting of these activities to Congress. Prior to this assignment, Mr. Reid served as a Special Assistant for Mission Integration, advising the USD(I) on issues concerning warfighter support, intelligence and security, technical collection and special programs, and intelligence strategy, programs and resources. 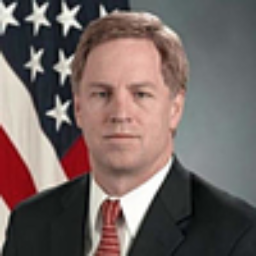 Prior to joining the office of the USD(I), Mr. Reid served nine years in the office of the Under Secretary for Policy (USD(P)), culminating as the Principal Deputy Assistant Secretary of Defense for Special Operations and Low Intensity Conflict. He was the principal advisor to the ASD(SO/LIC) for DoD policies, plans, authorities, and resources related to special operations, low intensity conflict and other activities as specified by the Secretary of Defense. From April 2009 - June 2012 he served as the Deputy Assistant Secretary of Defense for Special Operations and Combating Terrorism. 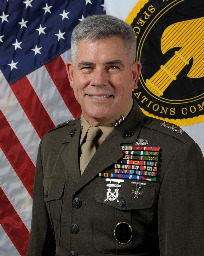 He advised the ASD (SOLIC/IC), Under Secretary of Defense for Policy, and the Secretary of Defense on DoD policies, plans, authorities, and resources related to special operations and irregular warfare, with special emphasis on counterterrorism, counterinsurgency, unconventional warfare, sensitive special operations, and information operations. He further served as the principal counterterrorism crisis manager for the Office of the ASD(SOLIC/IC). Mr. Reid joined the Office of the Secretary of Defense in January 2007 after 28 years of military service in Special Operations. A career member of the Senior Executive Service, he has served as the Director for Special Operations Policy, the Director for Counterterrorism Policy, and the Principal Director for Special Operations Capabilities. In these roles, he provided advice and assistance to the Under Secretary of Defense for Policy in the oversight of special operations and irregular warfare activities within the Department of Defense. Bio: The Honorable H. Allen Holmes was sworn in as Assistant Secretary of Defense for Special Operations and Low-Intensity Conflict on November 18, 1993. Mr. Holmes previously served as the Ambassador at Large for Burden-sharing, responsible to the President for ensuring a more balanced sharing of security responsibilities and costs by the NATO members, Japan, the Republic of Korea, and other countries allied to the U.S. 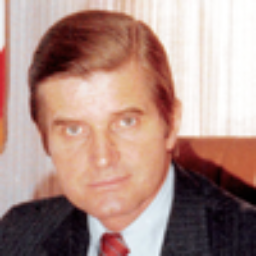 He also served as Assistant Secretary of State for Politico-Military Affairs from June 1985 to August 1989, working on arms control issues, chairing NATO’s Special Consultative Group on U.S.-Soviet Intermediate-Range Nuclear Forces Treaty negotiations, and chairing the U.S.-Israeli Political Military Group. From 1982 to 1985 he served as U.S. 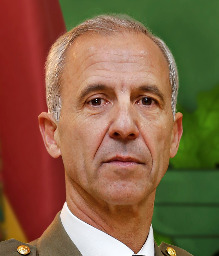 Ambassador to Portugal. Other foreign assignments included Political Officer and Deputy Chief of Mission in Rome, Italy as well as Counselor for Political Affairs in Paris, France. At the State Department, Mr. Holmes served as Director of the Office of NATO and European Affairs and Principal Deputy Assistant Secretary for European and Canadian Affairs. He earned a bachelor’s degree from Princeton University and did graduate work at the University of Paris. From 1954 to 1957 he was a Marine Infantry Officer with the rank of Captain. Mr. Holmes received the Presidential Meritorious Serviced Award and the Presidential Distinguished Service Award. Bio: Brigadier General Hans ILIS-ALM is presently posted to US CENTCOM as the Swedish Senior National Representative. Prior to this posting he served in the Swedish CHOD staff Plans and Policy Directorate and in the European External Action Service (EU). He has served many years in the Swedish SOF where his last position was as Commander Swedish SOCOM 2005-2009. He holds a MSc degree in National Security Strategy from the US National War College and a certificate in Terrorism studies from the University of St Andrews. Bio: Ian McCulloh holds joint faculty appointments in Public health and Engineering at Johns Hopkins University and serves as a chief scientist at the Applied Physics Lab. His current research is focused on strategic influence in online networks and understanding the cognitive dimension of the information environment. He is the author of thee books and over 40 peer-reviewed papers, primarily in the area of social network analysis. He retired from the US Army after 20 years of service in special operations and counter-improvised explosive device (C-IED) forensics and targeting. He holds a Ph.D. and three masters degrees. Bio: Lieutenant General (R) In-Bum Chun is a Visiting Fellow for the Brookings Institute as well as a Visiting Scholar for Johns Hopkins University School of Advanced International Studies' US-Korea Institute. He is a senior General Officer of the Army of the Republic of Korea and has a distinguished record of ethical leadership. Retired Lieutenant General Chun has had a distinguished career in the ROK army for nearly forty years as an infantry officer. LTG Chun became famous when he was credited with saving the life of the ROK Chairman of the Joint Chiefs of Staff in the Rangoon bombing in 1983. LTG commanded from platoon to the division as well as Commander of the ROK Special Warfare Forces and earned a reputation for high morale and readiness. His command of English has put him in many combined assignments to include deployment to Iraq. LTG Chun has a Masters degree in Strategy from the US Army War College and a PhD from Kyung-nam University in Polical science. His awards include a US Bronze star, three Legion of Merits and the first Korean to receive the US Special Operations Command Medal. LTG Chun's wife is an educator and he has two sons and five dogs. Bio: James H. Smith, a member of the Senior Executive Service, is the Deputy Director for Acquisition, United States Special Operations Command (USSOCOM), MacDill Air Force Base, Florida. He is responsible for all special operations forces research, development, acquisition, procurement and logistics. Mr. Smith, a native of Lyndhurst, New Jersey, graduated from the U.S. Military Academy in 1986 and was commissioned as a Second Lieutenant of Infantry. He served initially with the 3d Infantry Division in Kitzingen, Germany, as Bradley Platoon Leader, Heavy Mortar Platoon Leader, and Company Executive Officer. He then served as the 2d Brigade’s Assistant Operations Officer and Rifle Company Commander in 5th Battalion, 21st Infantry Regiment of the 7th Infantry Division (Light). Following receipt of a Master of Science in 1995, he served as Associate Professor in the Department of Civil and Mechanical Engineering and as Battalion Executive Officer of 1st Battalion, 1st Infantry Regiment at the U.S. Military Academy. 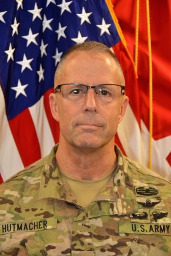 His Acquisition Corps assignments include: Chief of the Firepower Division for the Director of Combat Developments, U.S. Army Infantry Center; Assistant Product Manager for Soldier Power and Deputy Technology Product Manager for Objective Force Warrior; Chief of Interoperability for the Headquarters Department of the Army G8; and Product Manager for Soldier Sensors and Lasers within Program Executive Office Soldier. Prior to his current assignment, he was Program Executive Officer for Special Operations Forces Warrior Systems at USSOCOM, followed by Military Deputy to the USSOCOM Acquisition Executive. Mr. Smith is a graduate of the Infantry Officer Basic and Advanced Courses, the U.S. Army Command Staff College, the U.S. Army War College, and the Executive Program Manager’s Course. He is registered as a Professional Engineer in the State of Virginia. Mr. Smith retired from active military duty on 31 October 2013, after 27years of service. Immediately upon his military retirement, he was appointed to the Senior Executive Service and selected to serve as the Deputy Director for Acquisition, Special Operations Research, Development, and Acquisition Center, USSOCOM, MacDill Air Force Base, Florida. Bio: Colonel de Jong is an international oriented military professional with experience in general management, leadership, corporate strategy, special forces and counter terrorism. Col de Jong , born in 1965 started his military career in 1985 as a midshipman at the Royal Netherlands Naval institute. Commissioned as a lieutenant he fulfilled several commands as platoon and company commander. Next to staff jobs in the Marine Battalions he also commanded a Marine Special Forces Company. He was then promoted to Lieutenant-colonel and became the G5 NLMARFOR. Between 2007 and 2009 he held position in the MoD as senior staff officer in the resource and plans department. He then commanded the 1st Marine Battalion. Col de Jong completed several operational tours to Haiti, Ethiopia&Eritrea and Afghanistan. Currently Col de Jong works at the National Coordinating Authority on Terrorism and Security (as part of the Ministry of Justice) in the Netherlands dealing with Radicalisation, Extremism and Counter terrorism. Col de Jong is married and has three children. Bio: Joe Musselman graduated from DePaul University with a dual major in Political Science and International Studies, with minor studies in American foreign policy and economics. His thesis work was completed while traveling throughout the middle-east (Iraq, Afghanistan, Yemen, Kyrgyzstan & Kuwait) in ‘05 and ‘06 as a civilian; it was entitled, The Socio-Economic Climate of Iraq and Afghanistan, Pre and Post American Intervention. After his graduation, he continued his leadership development through executive education certificates from Kellogg, Chicago Booth, and DePaul's Kellstadt Graduate School of Business where he leveraged these experiences to assist in the development of two successful Chicago based start-up ventures. Joe then worked as a consultant for a non-profit agency in Chicago's north side, who partnered with the Department of Defense and the Office on Violence Against Women, assisting in the development of national programs to reduce gang and domestic violence. Soon after this, Joe then became the sixteenth man within his family to join the US Military; his intention was to become a Navy SEAL. However, serious injury during the selection phases of training precluded him from achieving that goal. He still went on to serve at the Naval Special Warfare Center (NSWCEN) throughout his recovery until his honorable discharge in 2012. While serving out his time at NSWCEN Joe recognized a need for a transition management program specifically for members of the Special Operations Forces community (SOF). Upon recognizing this need Joe began his market research. He attended close to forty separate transition programs for veterans and researched hundreds more. He personally interviewed over 200 members of the SOF community across the country on the issues surrounding their transition. In order to discover the markets perspective around a SOF transition. He also developed relationships with over two-hundred Fortune 500 and small to medium companies, several start-up ventures and non-profit foundations. This was necessary research in order to create the most comprehensive professional network and tailored transition program on behalf of the SOF community. After two years of research, Joe launched a pilot program and received the necessary feedback in order to launch a full program. In 2013, Joe launched The Honor Foundation. This is the first Transition Institute specifically designed for the Special Operations Forces community. Now, in 2014, The Honor Foundation discovered a true entrepreneurial partner , The UCSD Rady School of Management. Together, they have designed curriculum and a program entirely tailored to fit the specific transition needs and the level of expertise found in members exiting a SOF community. THF to date has gathered a formal network of private sector employers, faculty, partners and advisors who want to work with our Students who have already made a difference in the world. Joe considers this mission and The Honor Foundation his way to continue his service to his country and the Special Operations community. It’s hard to stop a man who does not give up. This describes Joe’s dedication to seek out and bring together the worlds leading professors and industry experts, locally, to serve our nation's most elite warrior professionals. New York Times best-selling author, "Networking is a Contact Sport"
Bio: Joe Sweeney is a former owner and now a strategic director at Corporate Financial Advisors, LLC, a middle-market investment banking firm which specializes in providing merger and acquisition advisory services, capital sourcing, exit planning, and general corporate advisory services. Joe has had a unique and interesting career. He has successfully blended his love of business and his passion for sports to accomplish positive results for himself and for his clients. He has a wealth of hands-on business experience. Joe has owned and operated four manufacturing companies and has more than three decades of experience in the business and sports worlds. Prior to acquiring an equity position in Corporate Financial Advisors, he was founder and president of SMG, a sports marketing and management firm that specializes in assisting and representing dozens of coaches and pro athletes (including three-time NFL MVP Brett Favre) in securing lucrative contracts and marketing deals. Joe was also president of the Wisconsin Sports Authority and has served on 28 boards of directors over the past 30 years and is currently active on six including Wintrust Financial Corporation (WTFC), the Bradley Center Sports and Entertainment Corporation, The University of Notre Dame Graduate Alumni Board for the Mendoza College of Business, Dielectric Corporation, DMT Corporation, and Town Bank. Joe received his BA from Saint Mary’s University of Minnesota where he graduated with honors in Industrial Psychology and his MBA from the University of Notre Dame. 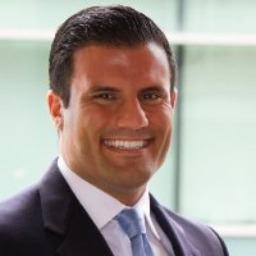 Joe is a successful investment banker specializing in mergers and acquisitions, a very active private equity investor, and a nationally renowned speaker and author. Bio: Chief, Demonstrations Branch Combined Fire Support Interoperability Division, DDC5I, J6 U.S. Joint Staff Mr. Miller is a Civil Servant and retired United States Marine. Currently he is serving in the Hampton Roads area as the U.S. Joint Staff’s Operational Manager for the Coalition Capability Demonstration and Assessment series, more commonly known as “BOLD QUEST”. In this capacity, he has participated in all 18 of the BOLD QUEST operational demonstrations conducted since 2003. Additionally, during 2006-2009, Mr. Miller headed the U.S. delegation in the NATO Air-to-Surface Combat Identification Working Group. 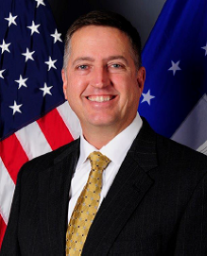 Bio: Colonel Jonathan E. Sweet serves as the Deputy Director for Analytic Operations, within the Analysis Directorate at the National Geospatial-Intelligence Agency (NGA). Prior to his arrival at NGA, he served as the Combined Joint Task Force – Horn of Africa, Director of Intelligence at Camp Lemonnier, Djibouti. COL Sweet is a veteran of Operations DESERT SHIELD/DESERT STORM, JOINT FORGE, IRAQI FREEDOM and FREEDOM’S SENTINEL. He has served in multiple staff and command assignments within the 101st Airborne Division (Air Assault), 25th Infantry Division (Light), Office of the Secretary of Defense, Defense Intelligence Agency, National Security Agency, Intelligence and Security Command, and US European and Africa Commands. COL Sweet is a graduate of the US Army Command and General Staff College, National Intelligence University, and Joint Forces Staff College. Bio: Lieutenant General Osterman is the Deputy Commander of the United States Special Operations Command (USSOCOM), MacDill Air Force Base, Florida. USSOCOM ensures the readiness of joint special operations forces and, as directed, conducts operations worldwide. A native of Edgewater, Maryland, Lieutenant General Osterman was commissioned in 1982 as a Second Lieutenant through the Naval Reserve Officers Training Corps program at the University of Colorado at Boulder. He served as an infantry officer at all levels to include Commanding General, 1st Marine Division (Forward) in support of Operation ENDURING FREEDOM and Commander, 25th Marine Regiment, in which he deployed in support of Operation IRAQI FREEDOM. As Commander, 1st Battalion, 3rd Marines, he participated in Operation ENDURING FREEDOM having served as a company grade officer at 1st Battalion, 7th Marines and 1st Battalion, 2d Marines participating in Operations RESTORE HOPE, CONTINUE HOPE, and SEA SIGNAL. Lieutenant General Osterman also served as Commander, U.S. Marine Corps Forces, Special Operations Command, Commanding General, Marine Corps Recruiting Command, Assistant Division Commander, 2d Marine Division Commander, 1st Marine Division, Director of the Marine Corps Expeditionary Warfare School, Quantico, Virginia, Commanding Officer, Recruiting Station Albany, 1st Marine Corps Recruiting District, Instructor at the Marine Corps Basic School of Infantry Officers Course in Quantico, Virginia, and as Commanding Officer of Marine Detachment aboard the USS Forrestal (CV-59), and as Executive Officer of the Marine Detachment aboard the USS Kennedy (CV-67). His Joint assignments include the ISAF Joint Command Deputy Chief of Staff, Afghanistan, and as Instructor and Chief of Staff at the NATO School, Oberammergau, Germany. Lieutenant General Osterman is a graduate of the Marine Corps Amphibious Warfare School, U.S. Naval War College, and U.S. Army War College. He holds a degree in Biology from the University of Colorado at Boulder. His personal decorations include the Defense Superior Service Medal (2), Legion of Merit (2), Bronze Star, Meritorious Service Medal (3), the Navy and Marine Corps Commendation Medal (2) and the Navy and Marine Corps Achievement Medal (2). Bio: Dr. Keenan D. Yoho has spent more than a decade working with senior leaders in both the commercial and defense sectors leading change to meet strategic objectives. Dr. Yoho holds a faculty appointment at the Naval Postgraduate School in Monterey, California where he teaches operations management. Dr. Yoho has received numerous research and teaching awards for his work which is focused on developing strategic, tactical and operational alternatives to achieve enterprise-wide outcomes under conditions of uncertainty and resource scarcity. From 2012 to 2014, Dr. Yoho served as a Senior Special Advisor at U.S. Special Operations Command (USSOCOM). Bio: Keith Flail is the Vice President, Global Military Business Development for Bell Helicopter. In this role, he is responsible for the customer interface, global strategy, market development and major fleet sales of V-22, AH-1Z, UH-1Y, V-280 and OH-58 aircraft worldwide. In his previous role, Keith was the Director, Joint Multi Role (JMR) and Future Vertical Lift (FVL) for Bell Helicopter. Keith was responsible for developing and executing Bell Helicopter’s initiative to produce an aircraft that meets and exceeds future vertical lift requirements, up to and including the design, development, build and flight test of a next generation tiltrotor, the V-280 Valor. Keith is originally from Reading, Pennsylvania. He graduated from the United States Military Academy, West Point, New York in 1989 with a BS in Mechanical Engineering. He was commissioned as an officer into the aviation branch of the United States Army, where he completed an Army career of over 21 years. Keith served in a variety of aviation operational assignments both stateside and overseas. Keith is very familiar with Bell products, as he flew Hueys, Kiowas, and Kiowa Warriors while on active duty. Additionally, Keith served in operations research, requirements, resourcing, acquisition, and program management positions during his Army career. After retiring from the Army, Keith was employed with Lockheed Martin where he worked both Apache helicopter and advanced programs initiatives in fire control systems, sensors, weapons, and ISR. He joined Bell in July 2012. Keith has a Masters of Science in Industrial Engineering from New Mexico State University. He is an Army Acquisition professional and Level III certified in Program Management. His military education includes OH-58A/C Kiowa Instructor Pilot Course, OH-58D Kiowa Warrior Qualification Course, and Command & General Staff College. Additionally, he participated in the Training With Industry (TWI) program, with Lockheed Martin, Missiles & Fire Control. Keith’s Army awards include the Legion of Merit, Senior Aviator Badge, and Ranger Tab. Bio: Admiral Tidd currently serves as Commander, U.S. Southern Command and is responsible for all Department of Defense security cooperation in the 45 nations and territories of Central and South America and the Caribbean Sea. He is a graduate of the United States Naval Academy and holds a master’s degree in Political Science from the University of Bordeaux, France. He has commanded at all levels within the U.S. Navy to include U.S. Naval Forces Southern Command and U.S. 4th Fleet; Carrier Strike Group EIGHT aboard USS Dwight D. Eisenhower (CVN 69); and as Commander, Middle East Force and Commander Task Force 55 in the Persian Gulf. He served as Joint Staff Director for Operations (J3), as well as on the National Security Council Staff as Director for Strategic Capabilities Policy, and Director for Combating Terrorism. Most recently, Admiral Tidd served as the 35th Assistant to the Chairman of the Joint Chiefs of Staff. Bio: COL Magne Roedahl is the Director of Capacity Building (Defence Forces Security Sector Reform Contributions) at NORSOCOM in Oslo, Norway, co-located with the National Defence Staff and MoD. His prior assignment was Deputy & CoS NORSOCOM (BGEN temp). After returning from NSHQ in Mons Belgium August 2011, he has served at Strategic level in Oslo supporting the formation of the Norwegian Special Operations Command (NORSOCOM). After 4 ½ years as DCOS Operations at the NATO Special Operations Headquarters (NSHQ) at SHAPE NATO in Mons Belgium, he returned to Norway to continue developing Norwegian SOF. He has been employed with the NSCC since its inception in early 2007 as “Deputy Director for Implementation” in Stuttgart, and DCOS OPS after their move to SHAPE, and transition to NSHQ. His main function as DCOS OPS NSHQ was advising the NSHQ COM and SHAPE staff on special operations, where support to SOF in the ongoing ISAF operation was the number one priority. This interaction brought him to several tours to Afghanistan over the last few years. COL Roedahl is originally an infantry officer with experience from the NOR-RUS border and deployment to UNIFIL, and joined the national Special Forces in 1988, where he has stayed to date with short tours to the Military Academy and General Command & Staff College as an instructor. He has participated in special operations deployments and SOF staff service to operations in Bosnia, Macedonia, Kosovo, Gaza/Egypt and Afghanistan. Bio: Major General Jaime IÑIGUEZ was born in Burgos, Spain (1959). After graduating from the Military Academy in 1981, he attended the Special Operations Forces Course. Upon graduation from the SOF Course (July 1982) he has served in SOF Units in all ranks, except as Major, when he served in the Parachute Brigade. His operational tours are: Central America (1990); Bosnia Herzegovina (1996); Kosovo (2000); and Afghanistan (2010). Badges MG Iñiguez has are: SOF, Navy and Army Scuba Diving, Paratrooper, Military Intelligence, and General Staff; in the international arena he attended the NATO Special Operations Component Command Course. Attendees please download Whova event app, to access the information of all 65 speakers.